Bob Merry, as a young boy was passionate about the outdoors and developed a great appreciation of all North American wildlife. In his early adult life he was involved in wildlife management. Bob has honed the fine art of carving wildlife from many natural materials found in North America. Over the years the entire Merry family has become involved in the carving of natural raw materials. Residing in Alaska they continue as a family unit today, bringing their carving art to a high plateau. Chup experienced a long, dangerous and tragic journey from his childhood homeland of Cambodia to his new home now in Juneau, Alaska. He was seven when the Khmer Rouge marched into Phnom Pehn, uprooted his family of 9 and forced them to labor in the fields and jungles. Food was severely rationed by the communist regime and there was never enough to go around. At the age of twelve, Chivly was an orphan, his parents and 4 siblings having perished of starvation. His remaining family knew their only hope was a desperate escape to Thailand, on foot, hiding from the communists, who would have killed them instantly if caught. During this time of ponderous waiting and hoping, he encountered a striking picture from Alaska. He was captured by the beauty of these people and absolutely fascinated that the Eskimos looked very much like his own people. The difference, however, was that these people were bundled in furs for protection from the cold, frozen land. He had never seen snow, and marveled at what it must be like to live in such an alien place. The thought of traveling to Alaska, a place so unlike the life he had to endure, gave Chivly a desire that kept his hope alive. He promised himself that he would one day see Alaska. 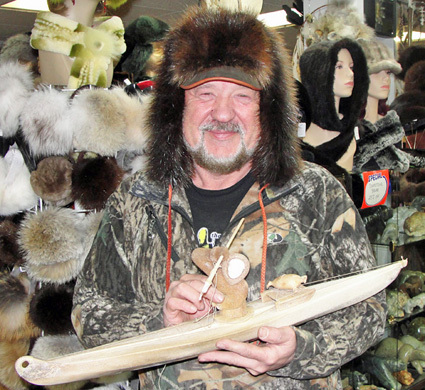 After a time, Chivly took his family to remote Emmonak, Alaska near the Bering Sea where he taught carving and current production techniques to villagers. He smiles and proudly points to the photographs of him bundled up in parkas and furs fishing in the sub zero weather. His dream has come true. Chup, his wife Sorn and little daughter Junie, now prosper in Juneau where Chupak Carving Arts has developed a state of the art studio in which Chivly can work and continue to teach carving, passing on his love for this exacting art form to his extended family. The word home has special meaning for Chup, as he has come to love his adopted land, Alaska, having endured so much to enjoy the freedom of the Great Land – freedom to create in a supportive, dynamite environment. Alaskan Artist Cordova, Alaska 1949. Ekemo attended the Alaska Methodist University and the University of Alaska from 1968 to 1972. In 1972 Ekemo started Ekemo Studios, doing sculpting and carvings in ivory stone and fossil bone. In 1976 Ekemo moved to Seattle and was a partner in North Coast Trading Co.. With a larger staff and as many as thirty diverse artists and craft persons Ekemo experimented with many different media. 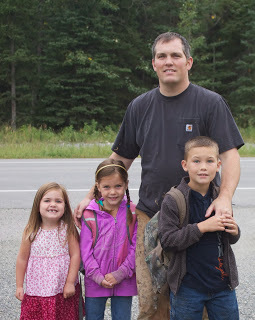 Eventualy moveing back to Anchorage and in 1990 moved Ekemo Studios to Eagle River Alaska. John and Jean are long time Alaskan residents. Living in Palmer, Alaska. They enjoy the majestic beautify and bountiful wildlife that only Alaska can offer. John has always been an avid hunter, trapper and fisherman. His vast experience as an outfitter, professional taxidermis and goldsmith, as well as his love of Alaska is reflected in each of his creations. With Jean as his “Right Hand Man” John works with quality Alaskan mediums. It is John and Jean’s hope that you cherish and enjoy your Alaskan made purchase. From the shores of Kachemak Bay in scenic Homer, Alaska, designer Catrin Lovett incorporates the rare and beautiful ancient walrus and mammoth ivories into one of a kind creations, revealing the natural beauty of these unique and timeless materials. Edward Lawrence, has been a craftsman and designer for over 40 years, working with many kinds of materials including different metals and fossil ivories. His jewelry is inspired by the material and their shapes, and the designs come from the interaction of several individual materials working together. Edward is a firm believer in “form to functional pieces” looking just right, making each piece individual and everlasting. But the true beauty comes from the interpretation of each individual piece to its new owner. Dennis Sims learned the art of scrimshaw from a Native Alaskan carver in 1976 and has won several jured Art Shows since then. He works with both Ancient Walrus and Mammoth Ivory which is between 600 and 30,000 years old. Dennis uses modern as well as traditional techniques to produce his works of art. Dennis was born in 1952 and has lived in Alaska since 1975. He and his wife Michelle live in Houston, Alaska. They have two children and four grandchildren. Scrimshaw is a delicate art; so keep your piece beautiful for years to come here are a few simple rules to follow. Never expose to excessive heat. Keep out of direct sunlight when possible and don't wear while exercising or swimming. We hope you enjoy your small piece of Alaska for many years to come. Fred Trout, whose Tlingit heritage comes from his father, who is L’eeneidi (Dog Salmon) on the Raven side of Auk’w Kwaan Tribe, Juneau, is an accomplished carver and Northwews Coast Artist. Mr. Trout completed a three-year course study at the Totem Heritatge Center, Ketchikan, Alaska, earning a Certificate of Merit in carving. He apprenticed with Master Tlingit Carver Nathan Jackson, working with Mr. Jackson on a 30-foot totem pole, Honoring Those Who Give, a commemorative pole that stands outside the Totem Heritage Center. 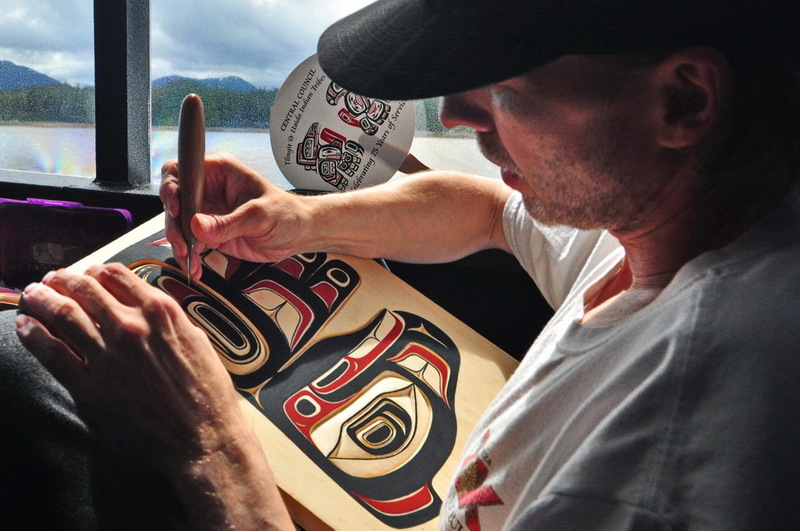 Mr. Trout has studied with Tlingit Carvers Ernie Smeltzer, and Rick Beasley; Haida Artist Reggie Davidson; Tsimshian Carver David Boxley; and Steve Brown. Fred Trout uses Red Cedar, Yellow Cedar and Alder to create carved and painted bentwood boxes, paddles, masks and Totem poles. His work is in private collections around the world and has been featured on Martha Stewart’s television program. He also has been featured in the Exploration Gallery and Eagle Spirit Gallery in Ketchikan, Village Store in Saxman and Ravens Journey Gallery in Juneau. Born in Fairbanks, Alaska, raised in Valdez, Alaska, Victoria has been an artist her whole life. She lives in a little house that she built herself. She first became interested in bead work at the age of 18. She tries to improve her skills constantly by learning new stitches, design elements and techniques whenever she has an opportunity. Artist Aaron Barrett was born in Wyoming and moved to Alaska when he was 6. He has been sketching and drawing wildlife since he was a child. He never received any formal art training. In 2002, he learned how to carve from his good friend, Kent Heindel, one of the best in the trade. For 11 years, Aaron has been capturing the rugged beauty and grace of the wildlife of his beloved home state of Alaska, in the pieces he carves. His favorite subject matter is the grizzly bear, but he also enjoys carving walrus, eagles, salmon, whales, moose, polar bears and many other wildlife. He also loves the Native Alaskan culture and enjoys depicting scenes of life long ago in the Arctic.